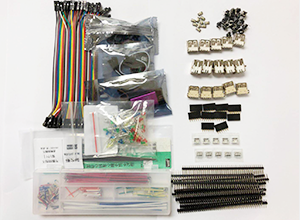 Free Development Boards + Consumables Kits Giveaway! 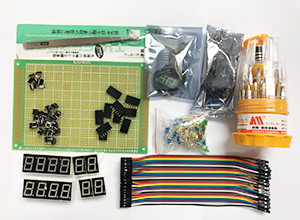 The prizes in the Giveaway campaign include: 20pcs of Raspberry Pi 3, 10pcs of Banana Pi M3, 5pcs of Panasonic Grid Eye Module and 15 sets of valuable Consumable Kits for hobbyists, engineers, Makers and students working on open source projects. Expect that , unlimited mysterious gifts of boutique consumable kits will be offered as a surprise. The total value of the prizes is over US$5000. Allchips hopes to help these creative people who are going to do interesting things and projects and get different advice via organizing this activity. According to our statistics:(Cheating account is not allow). warengonzaga.dev, lghourabi, roniloapin, hs179877, tkcphp, mashfique.reza, emilynatividad, bobbysa9012, doornob. we really appreciate that if you can send the pictures of the received kits. And please join our facebook group: Allchips. Due to the holiday for the Tomb-sweeping Day from April 5 to April 7, we will deal with the shipping on April 8. Our related staff will send the e-mail to you. 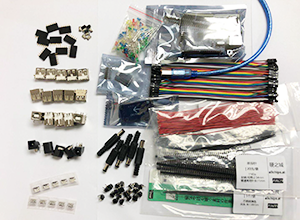 Quantity of the Prizes: 20 of Raspberry Pi 3, 10 of Banana Pi M3, 5 of Panasonic Grid EYE Module and Consumables Kits Set One, Two, Three Each 5 Sets. Best UPVOTE: the winners go to those whose reasons of application received top 8 UPVOTES from others in Allchips website. Best Reason: the winners go to who offer the most creative reasons for the application, or projects. Our professional engineers will choose 8 applicants whose reasons attract them the most. Social Awards. BOM Solution Feedback: If you used our intelligent BOM solution and wrote a 300~500-word feedback , we will offer a mysterious prize. There is no limited winners for this. Go to BOM Solution. Expect above prizes, we will randomly choose over 34 lucky participants to offer the prizes they have applied. One person can only get one prize with one account. No cheating account! We will add more prizes, if the quantity of the applicants is huge. For the prize of development boards is free, you only need to pay for the freight. We can choose EMS, China Post, UPS, DHL, or Fedex. If the freight cost is more than USD18, Allchips will cover the excess. For Consumables Kit, we cover all the expense so it is totally free. 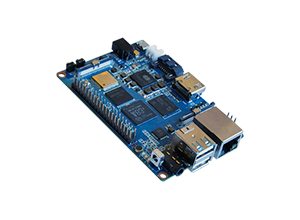 Due to the shortage of the Banana Pi M3, we do not know when the product is in stock. 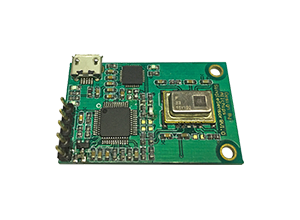 Maybe we will offer the M2 ULTRA, with the similar function with Banana Pi M3. But we will ask for the advice of the winners. “Like” our Allchips Facebook Page or follow our Twitter . Apply for the development board or consumable kits you like by clicking the button “Apply Now” as the following pictures show. Share this campaign page with your social media friends or groups with tag: #Allchips. Announce the winner list on 4th of April. Please fill in your reasons. Applicants from all the countries and regions are accepted. Your Application is visible to everyone. Tell your friends to UPVOTE your application. The more you share / tag, the more chances of winning. If you are a blogger, and would like to add our web links, that’s warmly welcomed. 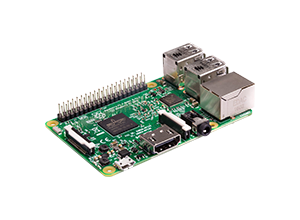 This giveaway products include : Raspberry Pi 3 , Banana Pi M3 (BPI-M3) , Panasonic Grid Eye Module and more, which you can find in the campaign. Please visit Allchips homepage and you maybe find the amazing stuff. We received many applicants’inquiries in the last campaign , and they want to get the lowest price. We believe we can do more than you need. Please contact us at any time. Allchips is a professional electronic components service platform, supported by over 1000 original manufacturers & authorized agents, and more than 10 million products data.Using Allchips' intelligent BOM Solution tool-BOM Steward, the work efficiency & accuracy of hardware engineers and purchasers will be increased exponentially. Please have a try on Intelligent BOM Solution, Win Mysterious Present. If you have any questions as for the BOM service, please contact us freely. we will reply you within 24 hours. If there are more consumable items needed, please click here . The activity follows our giveaway T&C.